In 1894, Harry E. Wentz, Sr. a funeral director and cabinet maker started the Wentz family business in Atglen, Pennsylvania. Harry’s two sons Joseph P. Wentz and Harry E. Wentz, Jr. also became licensed funeral directors. In 1940, Harry E. Wentz, Jr. and his wife Margaret “Birdie” McGovern Wentz opened the funeral home in its current location on East Chestnut Street in Coatesville. Joseph continued to operate the funeral home in Atglen until the 1960s. 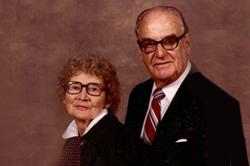 M. Joye Wentz, Harry’s daughter, has been part of the family business all her life and assumed the everyday operations after Harry’s death in 1986. Joye received a bachelor’s degree from University of Delaware in Psychology and her degree in Funeral Service Education from Northampton Community College. She is a member of the Coatesville Rotary Club, Coatesville Area Senior Center Board of Directors, Coatesville Savings Bank Board of Directors, Coatesville Library Book Club, Coatesville Country Club, Western Chester County Chamber of Commerce, and Coatesville Area Partners for Progress, former Caln Civic Club and former Coatesville Century Club. Joye was recently named the 2008-2009 Rotarian of the Year by the Coatesville Rotary Club. Joye and her husband Jim have five children who all help with different aspects of the business. 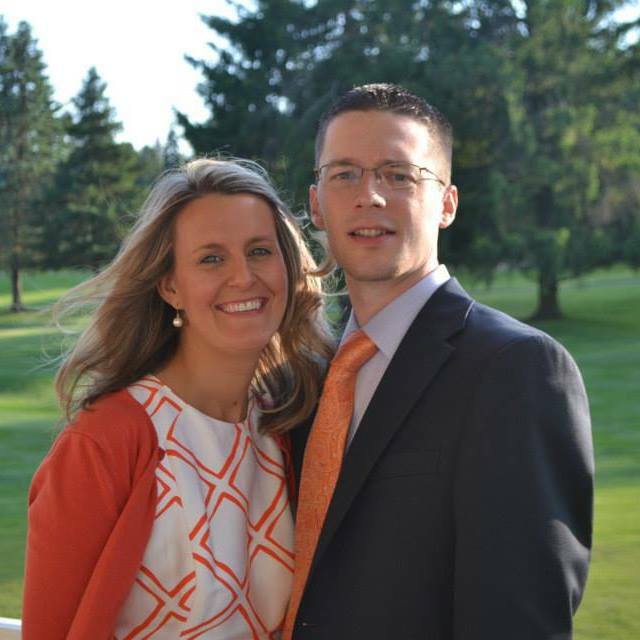 Jim graduated from University of Delaware with a Bachelor of Science in Business, concentration in Finance. In 1985, he graduated from Stonier Graduate School of Banking at Rutger's University. 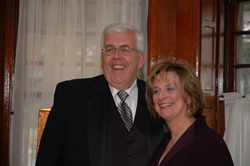 After 28 years in the banking industry, Jim decided to join Joye at the funeral home as the business manager. 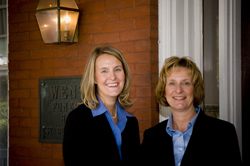 In July 2009, Joye & Jim’s daughter Kirstin Wentz McElroy received her Pennsylvania Funeral Directors License and became the fourth generation funeral director in the Wentz Family. Kirstin graduated from Northampton Community College with her degree in Funeral Service Education where she was honored as the 2008 recipient of the Pennsylvania Funeral Director’s Award. Kirstin is a graduate of Susquehanna University with a bachelor’s degree in Psychology. While she was at Susquehanna, she served as treasurer and project manager of Big Brothers/Big Sisters, she was the Curricular Service Scholar, and served as Vice President of Alumnae Relations and President for Sigma Kappa Sorority. Kirstin currently serves on the Advisory Council of Pope John Paul II Regional Elementary School and as the President for Art Partners Studio Board of Directors.